Similar to the manned Apollo missions, the manned spacecraft would be launched in different segments— more specifically— the manned capsule and lunar lander. Zinhua (Yang Liwei) stated that they would then rendezvous in lunar orbit. The plans for such a great lunar landing were confirmed by Wu Yangsheng— president of China Aerospace Science and Technology Corporation (CASC). China also stated last year that they plan to effectuate this feat by 2036. However, details and further information is currently lacking. 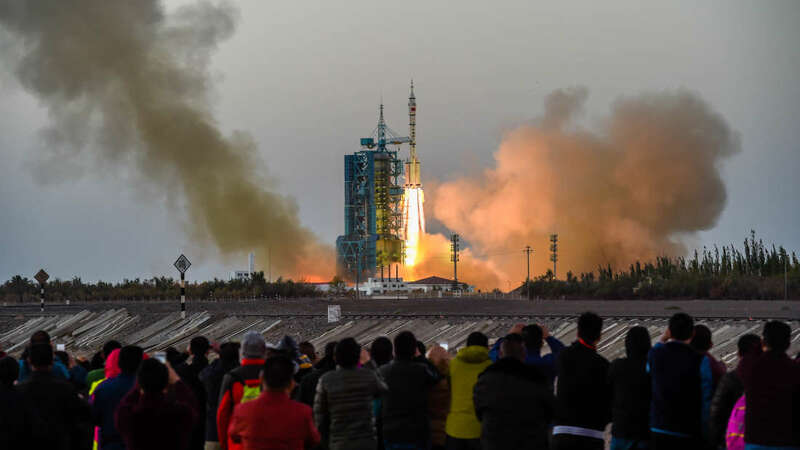 Although it should be mentioned that China has been making enormous progress in space— manned and unmanned— exploration with strong plans and efforts which will provide incredibly helpful data. At the same conference, China reported that four new crewed missions are planned over the span of the next five years. Also, in 2019, the country will begin building its first permanent space station... the Chinese Space Station (CSS). Currently, China also has an experimental laboratory, the Tiangong-2 in orbit. It is also said that this year, a third group of astronauts of 10-12 people will be selected and among the group, two women will also be on board. This group will perform scientific research on the CSS for a range of 3-6 months. Furthermore, this group of astronauts will have a more scientific background than previous Chinese astronauts which will allow for more effective work and fundamental research. Currently, it is unclear if the astronauts have already been selected— as said earlier, details are lacking. All of China’s current accomplishments are leading to the ultimate goal: a manned landing on the lunar surface. The country will be using a different approach than the one taken by the U.S. in the 1960’s. The approach of the U.S. was similar to this: back-to-back missions in earth orbit before heading to the surface of the moon. Also, their first space station, Skylab, wasn’t constructed until after Apollo 17 in 1972. China has enormous plans regarding the moon: operational telescopes on the surface that will remain on the surface for another 30 years, sending a probe to the far side of the moon (something never done before), a mission to return a lunar sample in this coming November, and eventually, a manned landing. Indeed, very strong plans. China is one of the top countries which now has a leading role in cosmic exploration!